CES 2015: UHD Alliance aims to establish industry standard for 4K content and devices | What Hi-Fi? One of the issues surrounding 4K has been that, up until now, there hasn't been an agreed industry-wide standard for the format. The newly-formed UHD Alliance hopes to change that. 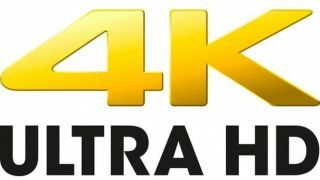 CES 2015 marks the official debut of the UHD (Ultra High Definition) Alliance, a new industry body created to set "new standards for 4K and higher resolution video, wider colour range and immersive 3D audio". So it's about more than just 4K. The Alliance brings together Hollywood studios, consumer electronics brands, content distributors, post-production and technology companies. It was formed by companies including Panasonic, Samsung, Sony, LG, Sharp, Dolby, Technicolor, Walt Disney, Twentieth Century Fox, Warner Bros, Netflix and DirectTV. That's quite a line-up. In a press statement issued today, the Alliance says it is "focused on helping people benefit from a seamless, integrated and high-quality Ultra HD ecosystem". Premium Ultra HD content and devices will be clearly labelled in store so consumers can buy with confidence. "The innovative advancements and quality improvements with TVs are evolving rapidly, as seen throughout CES," said Mike Dunn, President, Twentieth Century Fox Home Entertainment. “The UHD Alliance will benefit consumers by identifying products and content that will give the true UHD experience." The UHD Alliance aims to ensure all the links in the chain - from the production, distribution and consumption of content to the playback capability of devices - meet certain quality standards, while allowing "flexibility in the market". A full technology roadmap will be issued in the coming months.